The seasons are changing here in AustinTexas but the heat is always on peoples mind. I get asked all the time, how can I keep the stuff in my shipping container from cooking in the heat in Austin and San Antonio? 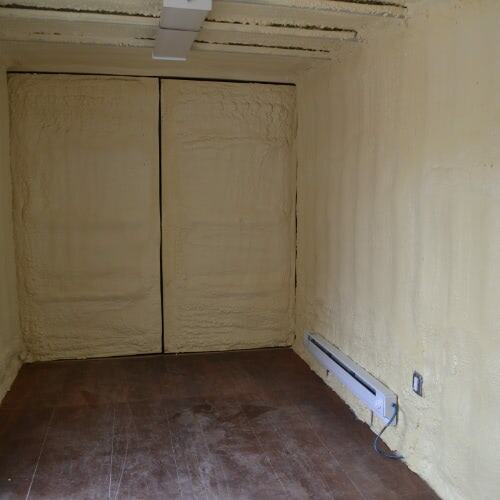 Foam insulation is a popular modification for conex shipping containers. There are a lot of different ways to keep temperatures close to manageable but the most effective way we've found is to insulate and cool the shipping container - something we call the Cool Box. Mount the A/C in the rear wall of the shipping container. Make sure it's secure and easy to transport. The bigger the shipping container, the bigger the A/C. While this method won't create a refrigerated shipping container, it will certainly remove some of the heat from your shipping container and help keep some of your heat sensitive belongings a little safer. If you have any questions about our climate controlled shipping containers email us at sales@falconstructures.com.